Welcome to our Secdtie store, we are a specialty retailers for men's neckwear. We have been designing, producing, and retailing men's ties online. We hold our tie suppliers and designers to the highest standards, and we made it our goal to offer the highest quality neckties, bowties, cuff links, and other fashion accessories at the best possible prices. If, for whatever reason, you are not satisfied with the ties you ordered, you can unconditional return it. 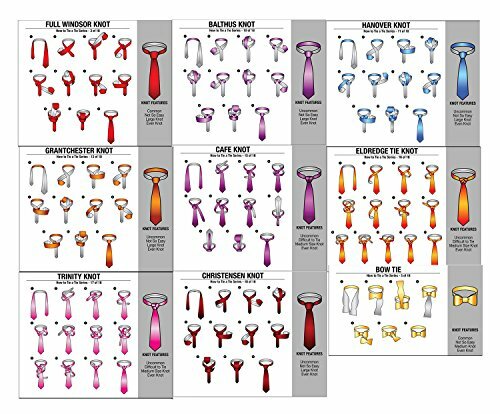 1) Can¡¯t decide on a particular necktie color? Then the multicolored tie above might offer a good compromise between several color shades. Because the ties above carry a wide range of colors we suggest pairing it with a shirt that complements one of the shades found on the ties. 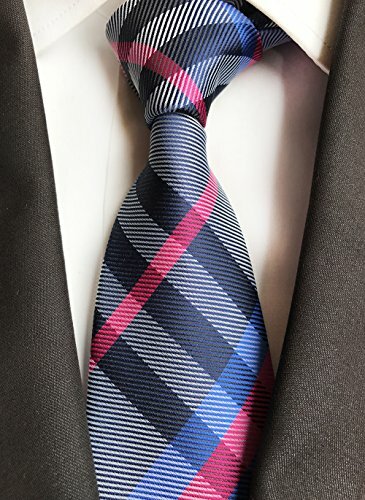 A multicolored necktie in purple, lime-green, red, and light blue would look nice on a matching light blue dress shirt for example. 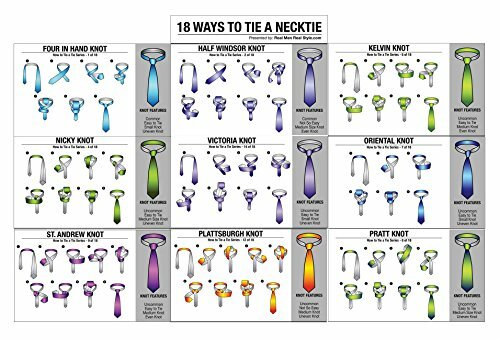 2) When trying to figure out what color tie to wear one has to consider the other clothing items, the occasion, and the season of the year. When it comes to season, a good indicator of what is in style is nature itself. The spring is typically greeted with fresh and lively colors such as bright yellows, orange, lime-green, and baby-blue. The summer season uses richer colors of bright pinks, red, orange, and blue. The fall is perfectly accessorized with ties in amber, brown, gray, burnt-orange, maroon, and burgundy. The winter season is best paired with neckties in dark brown, black, gray, olive, and navy. 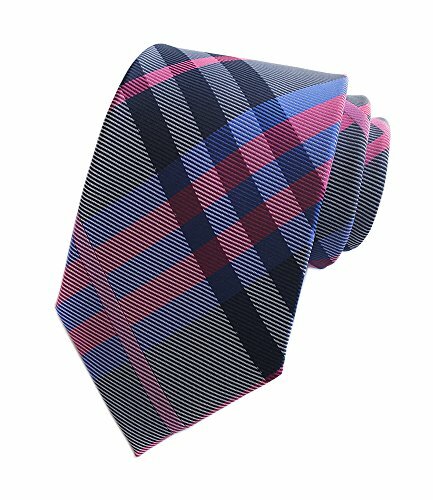 Business fashion necktie, Length: 145cm(57.09"), widest: 8cm(3.15"), Material: care-free microfiber polyester silk, Dry cleaning, low temperature ironing Gingham checks no longer have to be black and gray or navy and white. Why not show off some color in one of menswear's most trending tie and shirt pattern? Menswear designer took a classic gingham check and added a bright magenta blue pink accent color.Take a page out of Andy Bernard's style book with this summer checkered tie in pink and blue. A fantastic summer tie for all your cotton and linen blazers. Made from 100% Polyester. When worn with any suit, sweater-vest combination, this tie will have people mistaking you for the character himself. Who knows, you might even start singing like the him.